You were an incomparable jester, / And gasped for breath between stifling walls. 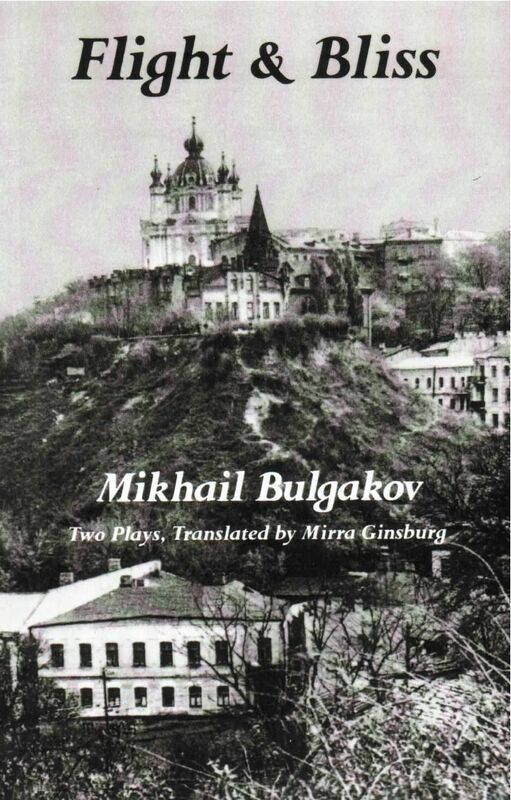 Mikhail Bulgakov (1891-1940) required the dramatic and fictional forms “as the pianist needs both his left and his right hands.” While he is best known here for his novels, in the U.S.S.R. he is also famous for his plays. Neither of the plays in this volume, Flight (1926-28) and Bliss (1934), was published until long after the author’s death. By 1929, his persistent refusal to conform to the demands of the Communist government and critics had led to a ban on all his work. Flight was not produced until 1957 and Bliss has never yet been produced. Flight incensed the critics because Bulgakov treated some of the Civil War’s Whites as suffering, doomed human beings rather than stock images of “the class enemy.” This tragicomedy is dominated by the nightmare figure of General Khludov, both executioner and victim, disintegrating as his world disintegrates. Charnota, on the other hand, is the hyperbolic image of a man hellbent for destruction, descending from White Major General to penniless gambler in Constantinople’s cockroach races. In Bliss, for the first time in English translation, the engineer Rein travels to the past in his time machine and returns with Ivan the Terrible accidentally in tow. Four centuries ahead of his time, the Tsar is stranded in Rein’s attic, bellowing imprecations. The bureaucrat Bunsha (a former prince who, for security in a proletarian state, insists he is the illegitimate son of his father’s coachman) is foiled in efforts to report this tumultuous housing violation by an involuntary trip with Rein to the year 2222. A pickpocket, Miloslavsky, also transported to this serene, policeless future, weeps nostalgically before the museum effigy of a policeman.